The 4PC Snapatite 4in1 Camping Utensils is lightweight, compact, and convenient to store and use on-the-go. Save space and overcome the challenge of packing several utensils on your family trip. Our TSA-compliant and eco-friendly 4-in-1 utensil set comes in different colors and features a detachable sturdy spear-point style eating knife sheathed inside the fork?s handle. Each utensil has a versatile design and features a spoon, knife, fork, and bottle opener, so you can scoop, cut, poke, and pop. The colors include olive green, light grey, blue-grey, and black. 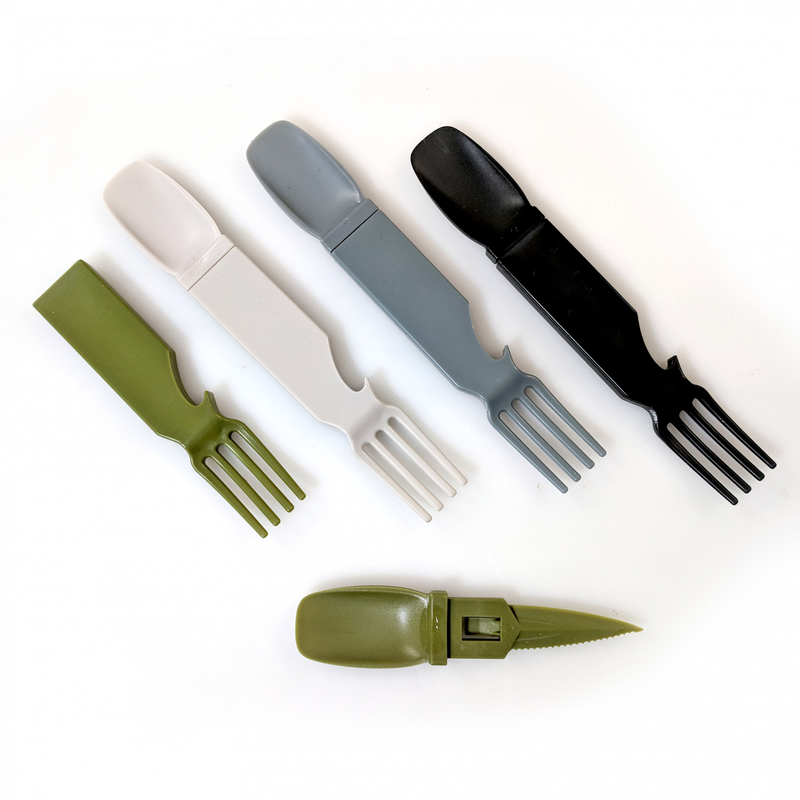 SPECIAL FEATURES - Eco Friendly set contains a fork, knife, spoon and bottle opener. SMALL AND LIGHTWEIGHT - Take it with you wherever you go. 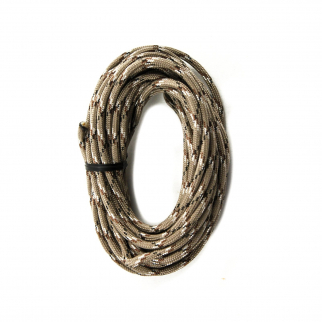 Easily store in a pocket, backpack, or purse. Easily (and safely) handled by adults and children alike. SAFE AND EASY TO CLEAN - BPA free to protect the health of you and your loved ones. Dishwasher safe. MANY USES - Biking, Emergency Preparedness, Picnic, Prospecting, Zombie Apocalypse, EDC, Hunting, Backpacking, Bug out Bag, and other adventures! GREAT GIFT - Give this necessity to your friend or family member as a Christmas gift, House Warming, Hanukkah gift, Kwanzaa gift, party favor, party gift, stocking stuffer, swag bag, conference bag, goodie bag, gift bag, graduation gift, Easter basket, birthday present, or Valentine's day present. 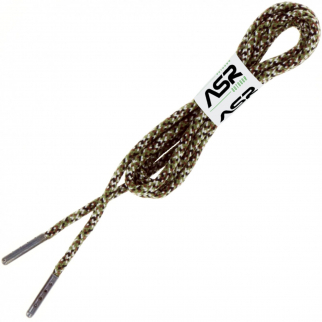 ASR Outdoor TitanLace 550 Paracord Hiking Boot Lace $ 10.99	• 50% off! 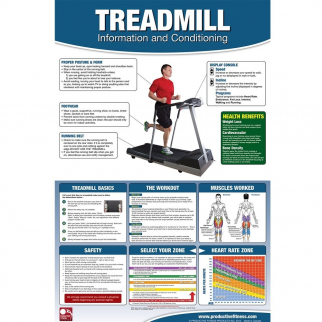 Productive Fitness and Health Poster - Treadmill Cardio Training Chart Laminated $ 21.99	• 27% off!